The sauna is what Finland is known for. On the international level, the sauna is seen as a more Finnish product than anything else. The sauna is a beloved way of life for the Finns, one embedded in the people’s DNA as a source of relaxation and well-being. Everyone can enjoy the Finnish sauna experience in their own way. After bathing in the sauna and cooling off, you feel blissful: as if you have been born again. Because everyone feels better after the sauna, both physically and mentally, visiting the sauna makes the whole world a better place. 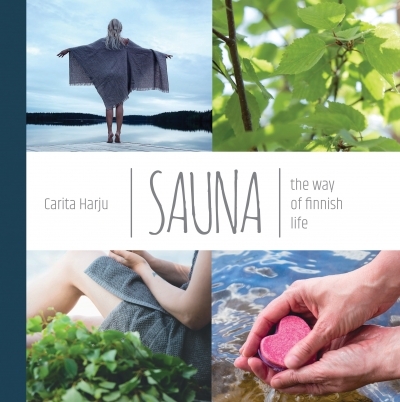 This book opens the door of the Finnish sauna just for you. We present different customs related to the sauna and give tips on how to make your Finnish sauna experience even better. Do yourself and others some good and visit the sauna today! The book is titled in english. The book is available also in Finnish and in German. 10% VAT plus shipping costs will be added to the price. If you did not find the right amount for your business, you can request a quote directly from our salespersons.